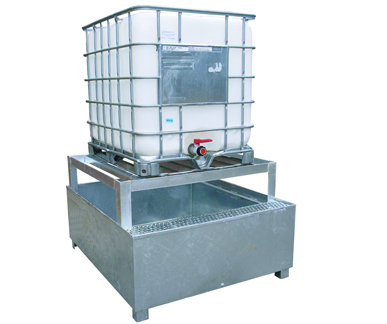 The Bulk Container Bunds (IBC Bunds) offer a cost effective and space saving solution without compromising on quality. 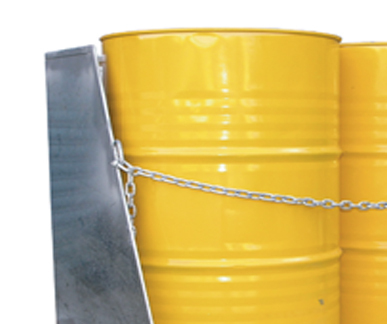 These are very important for maintaining a safe workplace, and for ensuring you meet all workplace regulations. 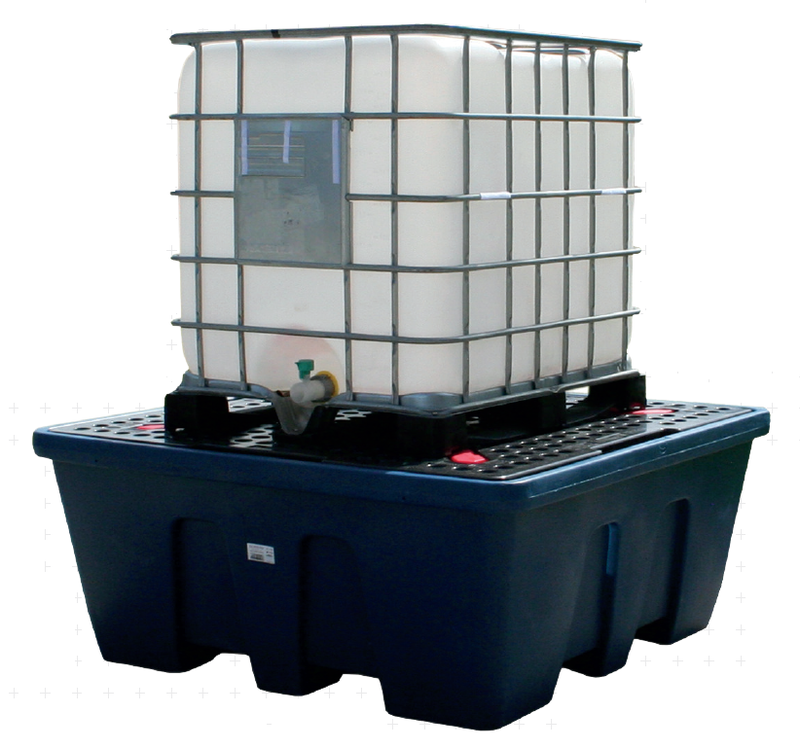 The Bulk Container Bunds have extras that helps provide a safe work environment for all personnel, and for the environment itself;- Dispensing trays available to provide spill containment when decanting and also Quick portable PVC weather cover prevents sump filling with rain water in outdoor situation. 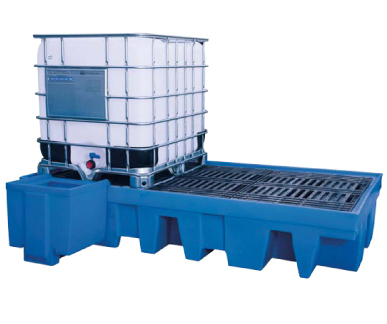 The Optimum Spill Bins have been specifically designed for IBC's (Intermediate Bulk Containers), and suit most IBC's on the market. 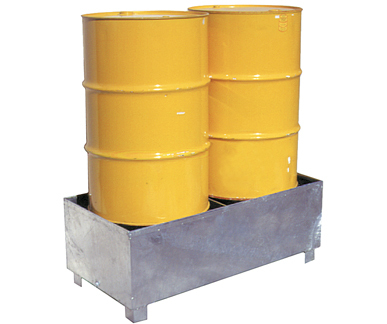 This unit has close spacing support bars and comes in a long life Zinc plated finish, offering a complete protection against damaging and costly chemical spills. The Optimum range of Spill Bins provide complete protection against damaging and costly chemical spills and are available to cater for one (1), two (2) or four (4) drums. 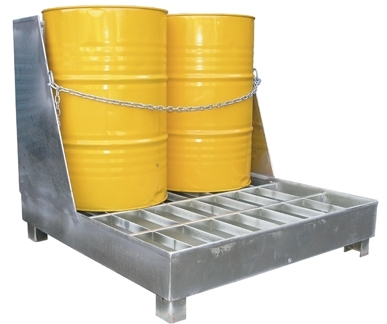 Similar to the previous Optimum Spill Bins, the Spill Bins have the extra advantage of being partly enclosed back and sides with a chain at the front to secure the drums. 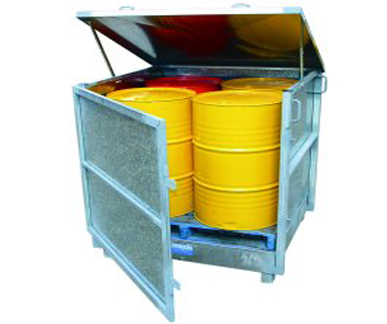 This type of Spill Bin is available to cater for one (1), two (2) or four (4) drums. The Fully Enclosed Spill Bin offers a complete protection against damaging and costly chemical spills with the extra advantage of being fully enclosed with the addition of a top Lid. 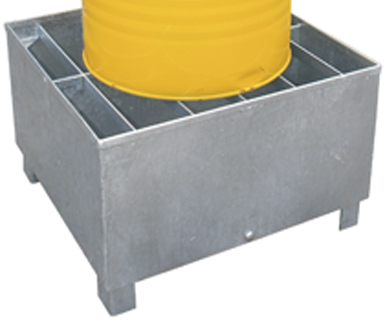 Air vent may be added to the sides as an option if required. 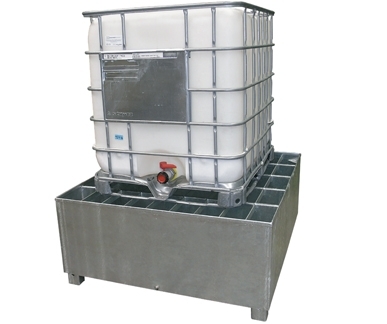 This unit caters for up to 4 standard 205 litre steel drums with a lockable 180 degree swinging front door instead of the safety chain, for added security. 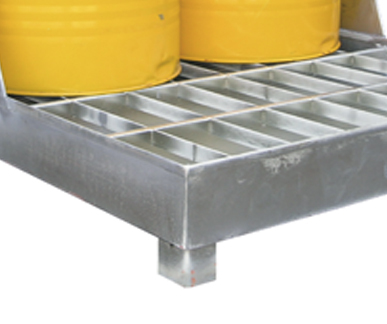 Close spacing support bars allow for large or small drums up to 2000kg SWL to be placed directly onto the Spill Bin. 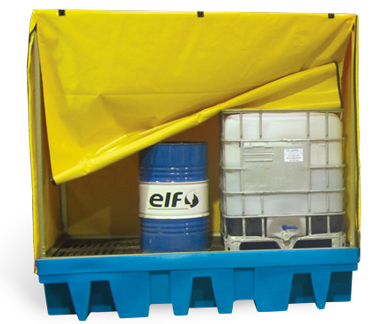 The baffled containment area allows the Spill Bin to be safely moved when full, minimising spillage. 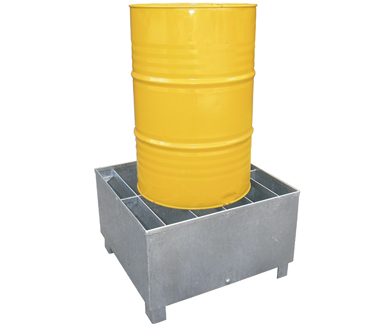 To empty the containment area, a single Drain Plug has been provided at the side of the Spill Bin. 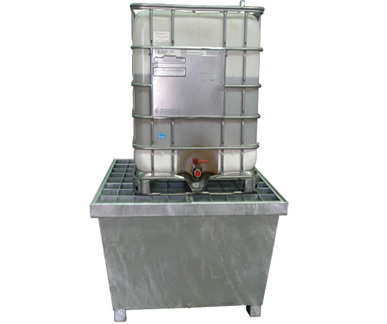 All Spill Bins come in a long life Zinc plated finish.